TOKYO -- Canon is helping Japan build a low-cost "mini-rocket" for future satellite launches as private companies seek to give the country's lagging space industry greater thrust. Engineers from Canon Electronics, a unit of the Japanese imaging devices maker, have joined a team led by the Japan Aerospace Exploration Agency, or JAXA, that is building what stands to be the world's smallest satellite launch vehicle -- about the size of a utility pole. The company's experience designing and manufacturing devices such as digital cameras will help the team choose the best rocket parts as well as make key control instruments smaller and lighter. Systems for changing the rocket's orientation or separating stages once in space have already been developed. IHI unit IHI Aerospace is handling development of key engine parts such as fuel injectors. The three-stage rocket is an upgrade to JAXA's two-stage SS-520, which carries instruments for research observations. Measuring 52cm in diameter and less than 10 meters in length, the new version will cost less than one-tenth as much to launch as leading rockets and is expected to be used to lift microsatellites in orbit. An initial launch is slated for early next year from the Uchinoura Space Center in Kagoshima Prefecture. Satellites currently in use for weather observation or defense are typically large, and often are commissioned by governments. But smaller devices developed by the private sector are seen becoming more common, used to manage traffic or to survey farmland or disaster areas. Demand for lower-cost rockets capable of carrying those satellites is expected to surge as well. Canon Electronics plans to launch a miniature imaging satellite next year in a step to expand aerospace operations. Meanwhile, travel agency H.I.S. and ANA Holdings, parent of All Nippon Airways, have announced investments in PD Aerospace, a Nagoya-based startup working on manned spacecraft. The funds will help develop key components such as engines. The venture aims to make its first commercial spaceflight in 2023. If this comes to fruition, H.I.S. will help develop space tourism and shipping services, while ANA will support pilot training and help maintain the shuttles. Though the private sector has taken the lead on space development in many parts of the world, Japan's government remains at the forefront in this country. 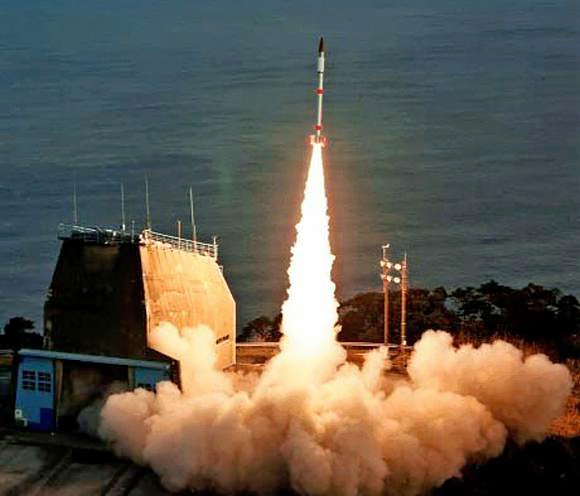 Around 90% of the Japanese space industry's sales, thought to total around 300 billion yen, are to the public sector. But that is changing. Axelspace, a startup affiliated with the University of Tokyo, is developing a low-cost microsatellite. Interstellar Technologies, founded by former Livedoor President Takafumi Horie, is preparing to launch Japan's first rocket developed wholly by the private sector as early as January. The government itself is supporting this shift, eager for help from businesses in reaching the stars.